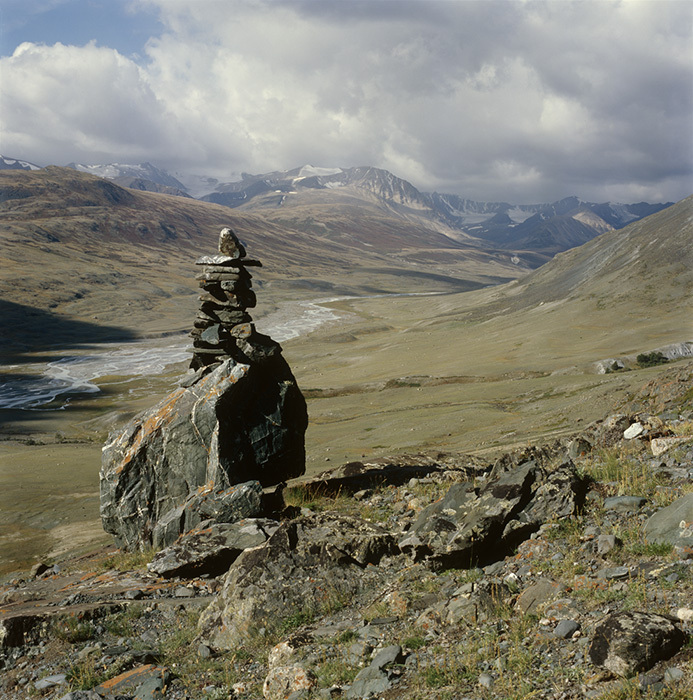 Esther Jacobson-Tepfer was not looking for recognition when she began researching archaeology and landscape in the Altai Mountains of Mongolia. In fact, the first time she traveled to the border between Russia and Mongolia to conduct field work in the Altais, she had to hide on the floor of her Russian colleague’s vehicle because Americans were not allowed in that sensitive border region. 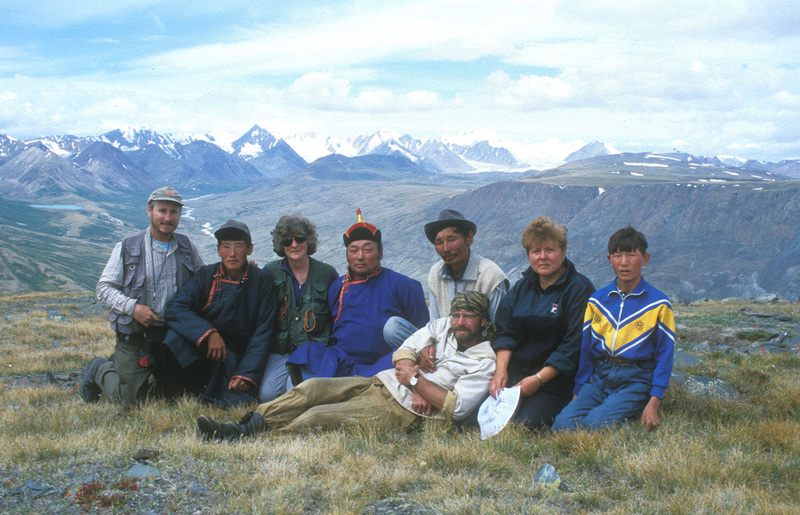 But after nearly two decades of braving challenging conditions in Mongolia’s rugged backcountry to discover and document the region’s archaeology, Jacobson-Tepfer was honored by the Mongolian government for her leadership in preserving the nation’s cultural heritage. The UO Maude Kerns Professor Emerita of Asian Art History recently received the Kublai Khan Gold Medal, the Mongolian Academy of Sciences’ highest honor, as well as a Presidential Citation from Mongolian President Tsakhiagiin Elbegdorj for helping the country successfully designate two UNESCO World Heritage Sites and for producing the most comprehensive documentation of the Mongolian Altai’s ancient cultural history. Jacobson-Tepfer’s journey from stowaway to honoree was not an easy one. “Mine was really the journey of a wanderer,” she said. It shouldn’t be surprising that this self-described “wanderer” developed an interest in nomadic people. Originally trained in Chinese art history, she quickly realized this academic discipline wasn’t a good fit because the field was “too rooted in museums and collections” and didn’t satisfy her desire to explore and discover — and wander, of course. Fortuitously, she secured permission to study the ancient nomadic art of Central Asia at Moscow’s Lenin Library as her scholarly dissatisfaction was setting in. Although she was a doctoral student in Chinese art history at the University of Chicago, she found herself drawn to the nomadic world through its many historical intersections with Chinese art. She was fascinated by the artifacts and petroglyphic images of these free-roaming people and was especially fascinated by the way women and children were represented, which was radically different from what she had found in ancient Chinese art. 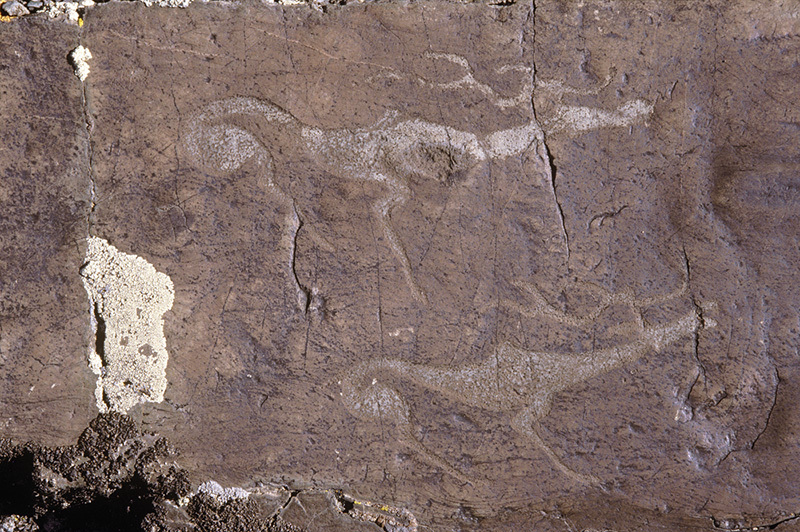 After a later fellowship year in the Soviet Union, she decided to “recycle herself” as a specialist in the rock art and surface archaeology of the ancient Altai nomads. The more she studied this nomadic art, the more she felt she had to get into the actual landscape from which it came. 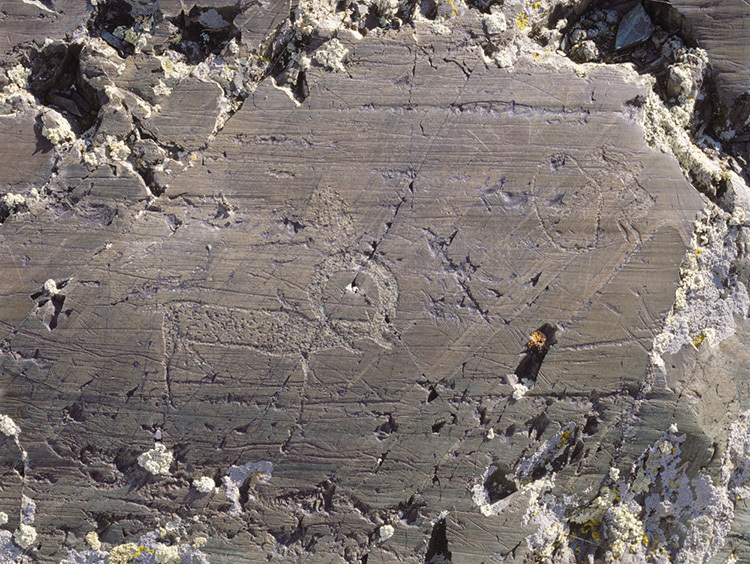 She wanted to understand how these ancient surface monuments and rock art were meant to be integrated into the natural world. “Perhaps because I am by training an art historian and not an archaeologist, I began to ask questions that were not traditional. … I became increasingly aware of a persistent and compelling relationship (with) the larger landscape,” she said. Unfortunately, it was not an easy landscape to access. 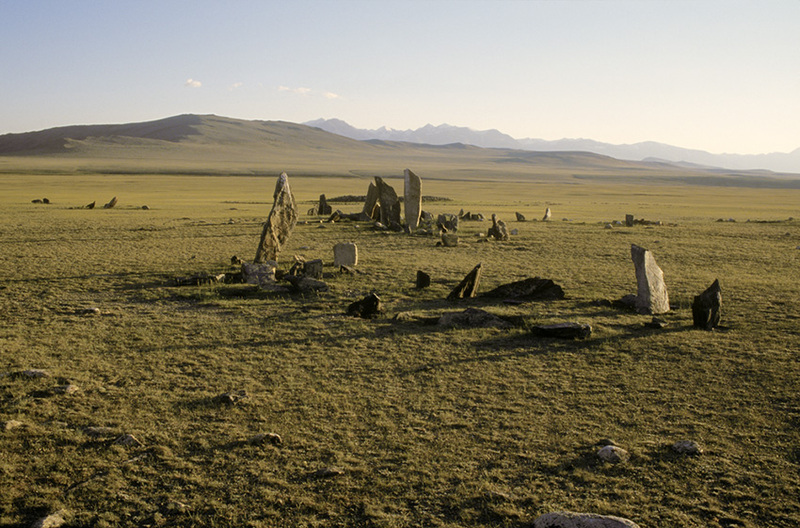 With political restrictions on border crossings into Mongolia and precarious roads to navigate into the Altai Mountains, the area was rich in nomadic artifacts but virtually unknown by anyone but the nomadic herders who still roam the land. “’Road’ is a very generous term,” she said, explaining that the roads into the Altai were actually barely visible tire tracks, rendered treacherous by large boulders, horrendous slopes and occasional mud sinks. 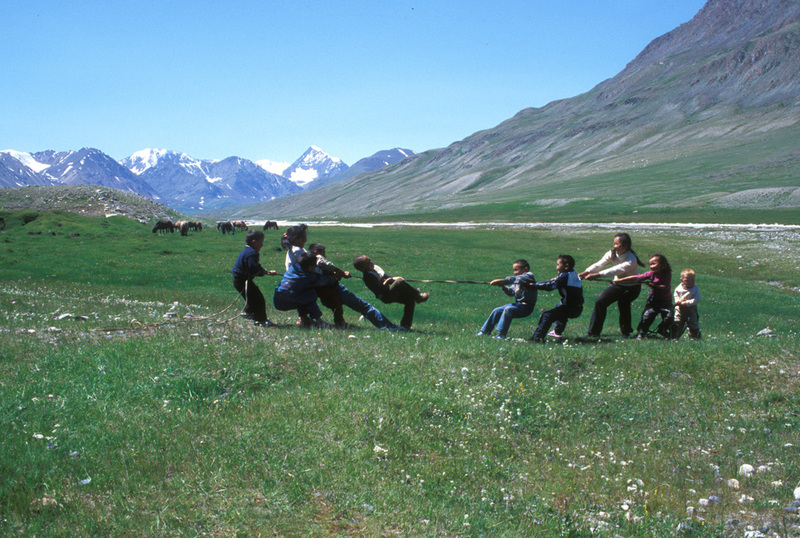 The working conditions didn’t improve much once she was able to actually get into the Altai Mountains. The region may be known for its stark beauty — with craggy, snow-covered mountain ridges melting into stunning turquoise lakes and vibrant river valleys. But it’s also mercilessly harsh, hosting every inclement weather condition­­ — rain, wind, snow and freezing temperatures — even during the summer field season. 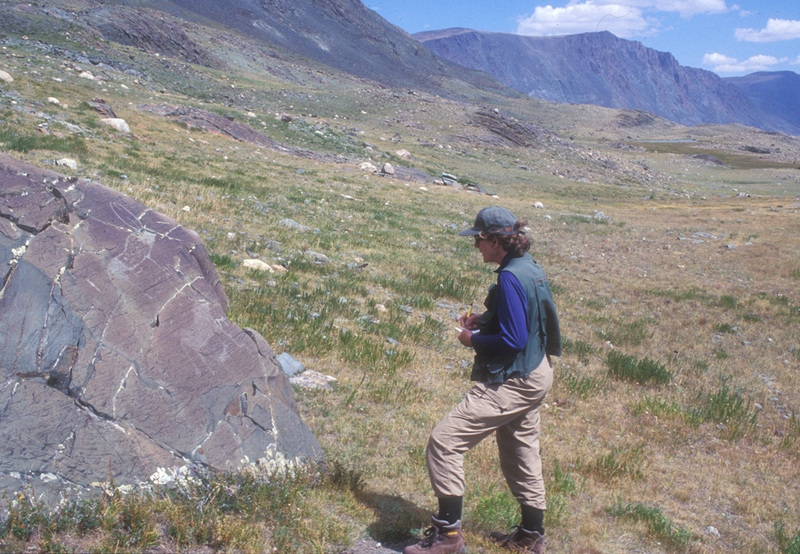 In addition, the nature of her research was physically demanding, necessitating weeks of clambering across the rugged terrain of the Altai Mountains to locate and document rock art concentrations and surface monuments. But the long days rich in discovery kept her going. 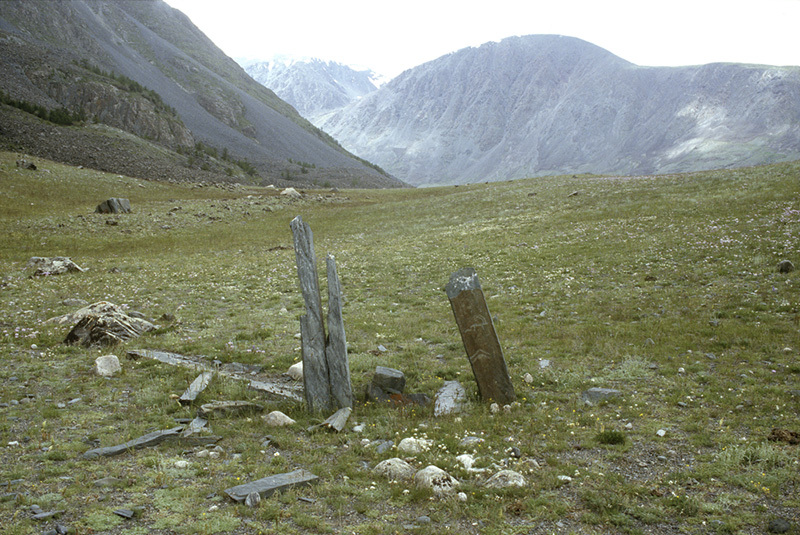 Jacobson-Tepfer and her team of international researchers identified and recorded thousands of standing stones, altars, image stones and rock art concentrations embedded into the mountainous landscape of the Altai. And read she did, along with her husband Gary, a professional photographer and intrepid mountaineer, whose eye for visual storytelling and wilderness expertise helped her piece together 12,000 years of archaeological history across 22,000 square kilometers of northwest Mongolia’s mountainous land. Their integrative work also benefited from a collaboration with UO geographer James Meacham and the UO’s InfoGraphics Lab. “Rather than just looking at the monuments, … we tried to look out from their locations to see … how their structure and orientation directed our attention in space or how they seemed to bind major elements of the larger natural environment into a meaningful order,” Jacobson-Tepfer said. She recalls working on a high slope and seeing the ancient imagery she was documenting come to life in the valley below, as a woman on horseback led a caravan of Bactrian camels –– a scene like the caravan etched on the stone in front of her. She began to understand the integration of elaborate stone mounds and standing stones with directional orientation and viewsheds. Some drew her attention to the majestic snow-capped peaks behind them, while others pointed down into hidden valleys. The carved images of ancient Turk warriors reinforced the persistence of spatial order over a period of several thousand years. “People in today’s society usually view ancient art out of context,” Jacobson-Tepfer explained. “They flock to museums and galleries where these masterpieces might be facing the wrong direction or where they are simply not understandable without their physical surroundings. Jacobson-Tepfer wanted to ensure that these artifacts and monuments continued to dot the landscape that brought them to life — and vice versa — so she launched preservation efforts alongside her research. She teamed up with Tepfer and Meacham to photograph and map thousands of monuments within their landscape, taking advantage of Global Positioning Systems, a revolutionary technology at the beginning of their project. 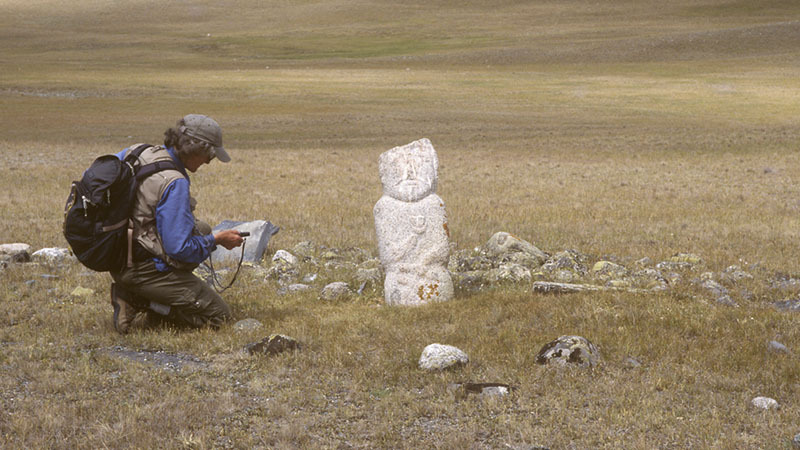 They co-authored the book, “Archaeology and Landscape in the Mongolian Altai: An Atlas,” which provides archaeological and geographical documentation for what had been a largely unmapped region. 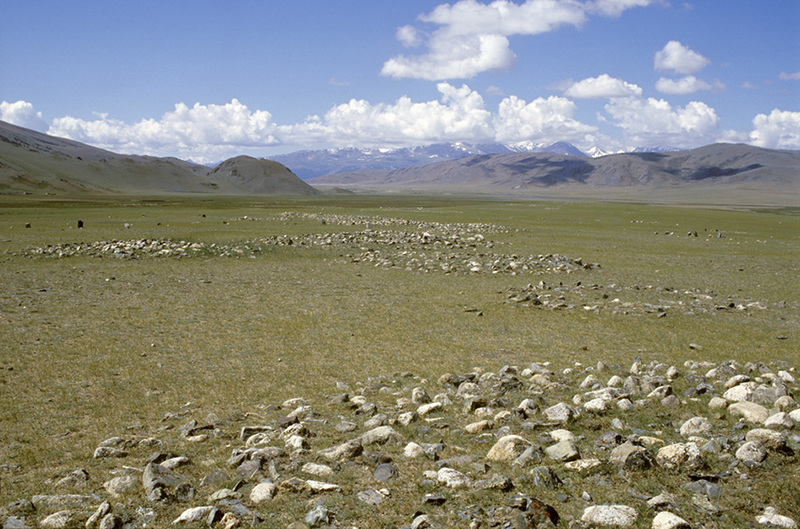 In conjunction with that research and writing, Jacobson-Tepfer spent years maneuvering through bureaucratic obstacles to help Mongolia successfully nominate two of its richest archaeological regions as UNESCO World Heritage Sites: the Petroglyphic Complexes of the Mongolian Altai and the Burkhan Khaldun Mountain and Surrounding Sacred Landscape. 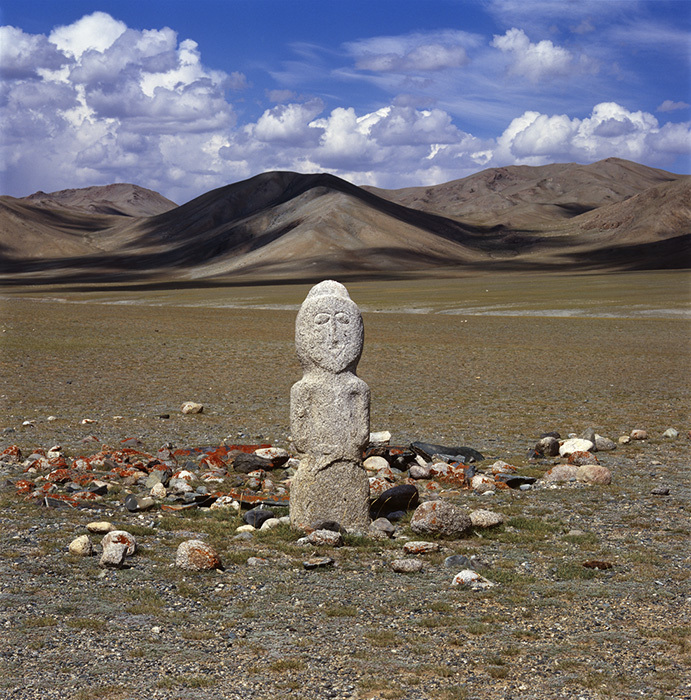 As Mongolia is one of the few places on Earth where the cultural landscape has not been destroyed, Jacobson-Tepfer wanted to preserve these phenomenal artifacts and to demonstrate the extraordinary wealth of Mongolia’s ancient past. 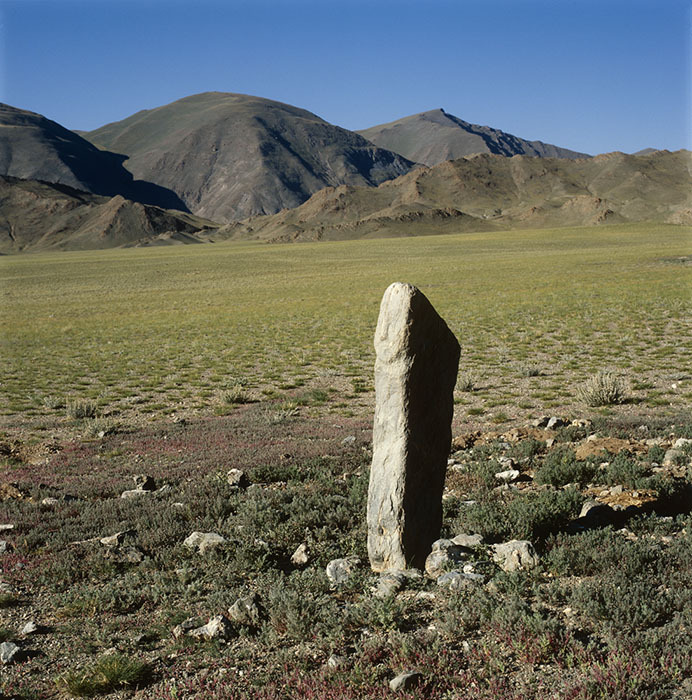 Jacobson-Tepfer might not have been looking for recognition as she spent two decades slogging across the harsh landscape and camping on frigid mountain ridges to discover, record and protect millennia of Mongolia’s history, but both Jacobson-Tepfer and the Mongolian government seem to agree that the effort was well worth the challenges confronted and met.